Koike, F., Clout, M. N., Kawamichi, M., De Poorter, M. and Iwatsuki, K. (eds) 2006. 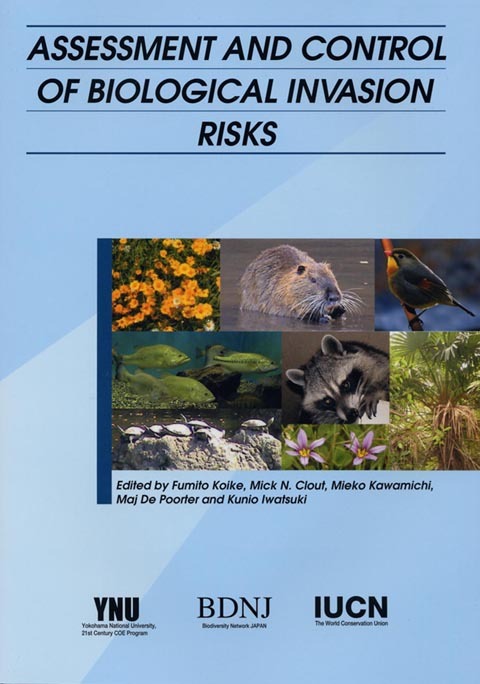 Published by SHOUKADOH Book Sellers, Kyoto, Japan and the World Conservation Union (IUCN), Gland, Switzerland. 216pp. You can download individual papers and the whole volume. Please click blue underlined texts in the Index of the following PDF file.